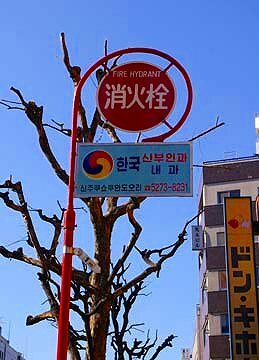 There is an area called Korean Town in the north of Shinjuku. 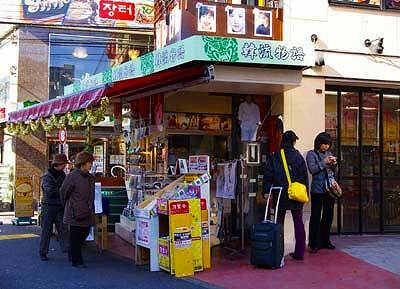 Many shops decorated in Korean fashion are standing in a row along the north side of Shokuan-dori street between the crossing with Meiji-dori avenue and that with the JR rail road. Most of them have appeared in these ten years or so. In the past ten years economy of Korea has remarkably developed while that of Japan has been declining. The more the home country developed, the more Koreans living in Japan also became powerful. They got powerful now enough to purchase real estates around central Tokyo. 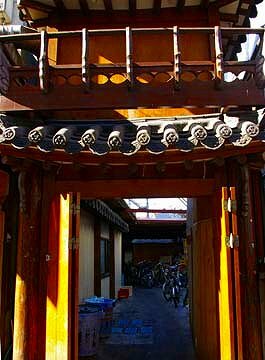 As a result, they made this area into their stronghold, that is, Korean Town. 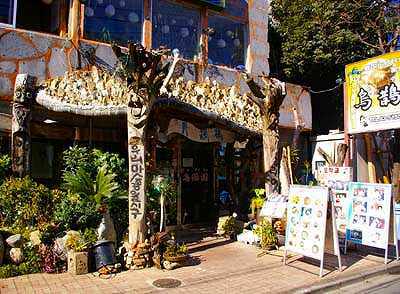 Recently, Korean culture has become popular among Japanese people, especially aged women, thanks to a TV drama titled “Winter Sonata” broadcasted two years ago by NHK. Those who saw the drama got reminded the old virtue they had left behind them a long time ago. 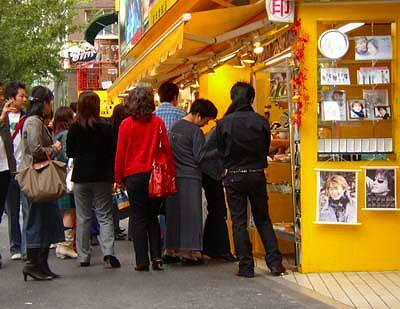 The area attracts not only Koreans but also Japanese people. 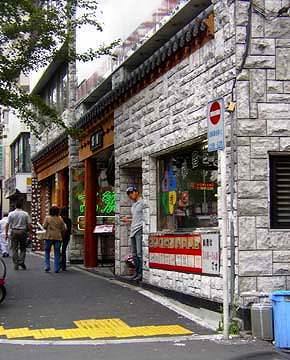 Sign boards along the street side are written in Korean letter. 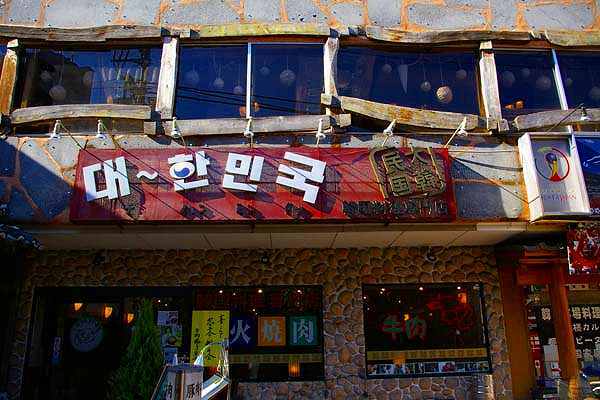 Most of the shops are Korean restaurants. 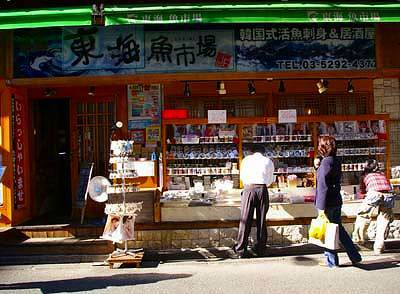 But there are a number of stores of various Korean goods. 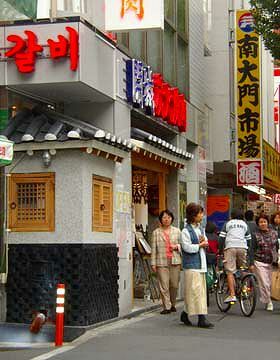 Many Korean shops are also opened along sidewalks in the north of Shokuan-dori.